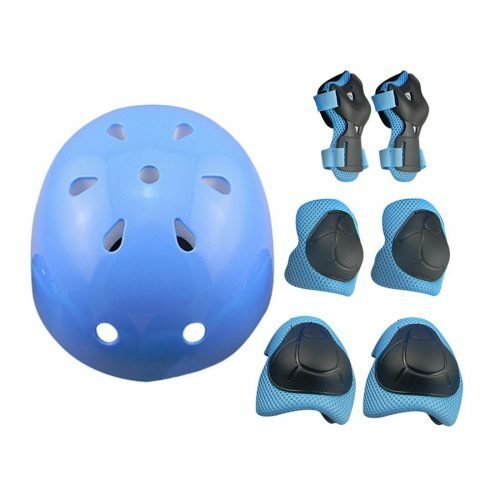 If your child rides a bike, roller blades, or skateboard their head needs protecting. Choose one of the best bike helmets for your kids in 2018 and keep them protected. This can make a difference between life and death. Your child may not like wearing one, as it is not trendy. However, with the helmets available on our list, they might just change their mind. Not only do they have a great design they are durable and will protect them from a head injury. The important thing is to make sure the helmet fits your kids head appropriately and comfortable. So as good habits start directly at home train your kid from a young age to be aware of safety on the road. Does your child prefer skateboarding to biking? Then they need the JBM ASTM Certified Helmet. The kid’s helmets available in assorted colors and sizes for a perfect fit. 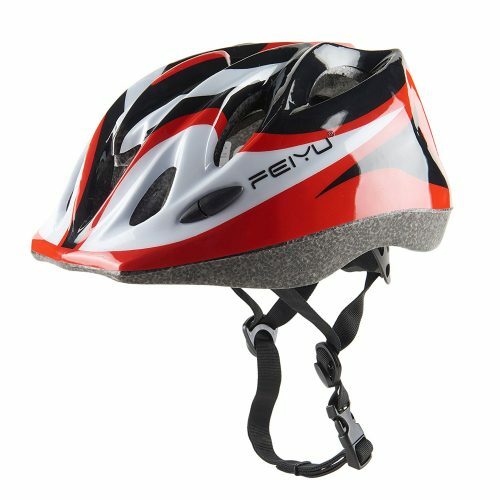 The durable shell has a soft lining that absorbs pressure when in a crash to protect their head. The helmets available in an adult size and have multiple vents making it aerodynamic. 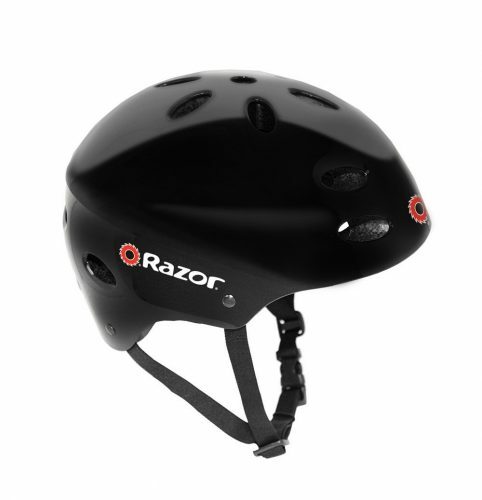 Another bike helmet for kids is the Razor youth multi-sports model. 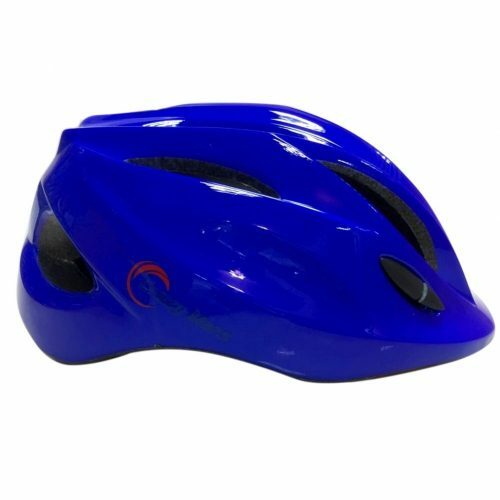 The helmet complies with CPSC standards and fits heads sized 21.5 – 23-inches. 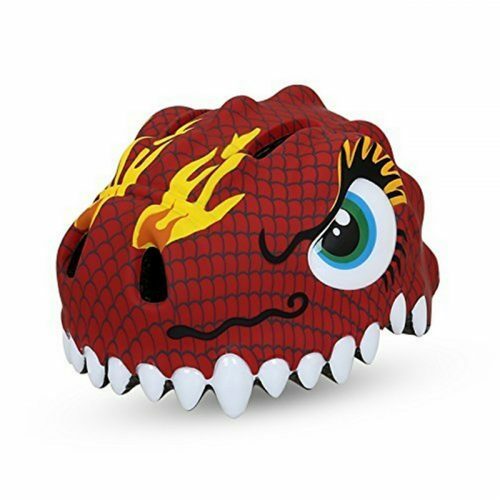 If your child is aged 8 to 14, this helmet is perfect. Let your child choose a stylish color, as there are assorted colors available. For a comfortable and secure fit, it has soft padding and 17 vents to keep their head cool. The RuiyiF comes as a complete protective set for your child. The kid’s bike helmet has elastic Velcro straps to adjust for a perfect fit. The inside has a soft mesh pad with a breathable design. 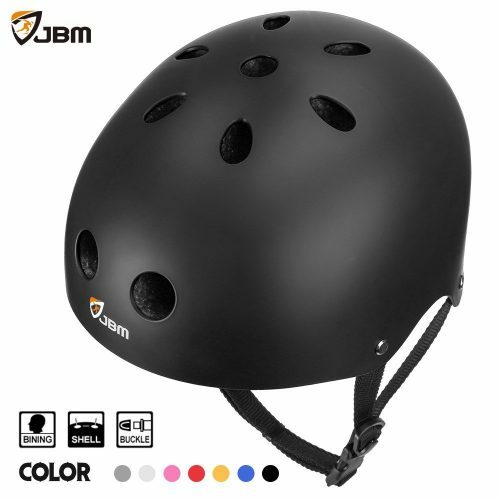 The helmet is suitable for aged 4 to 12-years old. You can buy the set in three colors blue, green, and red. The set comprises the helmet, knee guard, elbow support, and wrist pads. For professional protection, you need the Smart Design bike helmet for kids. The helmet adjusts to fit a child’s head aged 3 to 10-years old. The body has a PC shell with EPS foam protection against impact and shock. With the adjustment dial and strap, the helmet sits securely on the head. The Special Cool kid’s bike helmet is a multi-sports safety helmet. You can buy the helmet in assorted colors. The outer shell is hard and has high-density EPS foam on the inside. The arch shape frame deploys force evenly and the ventilation holes keep their head cool. The mesh pad lining you can wash and it has an adjustable regulator. 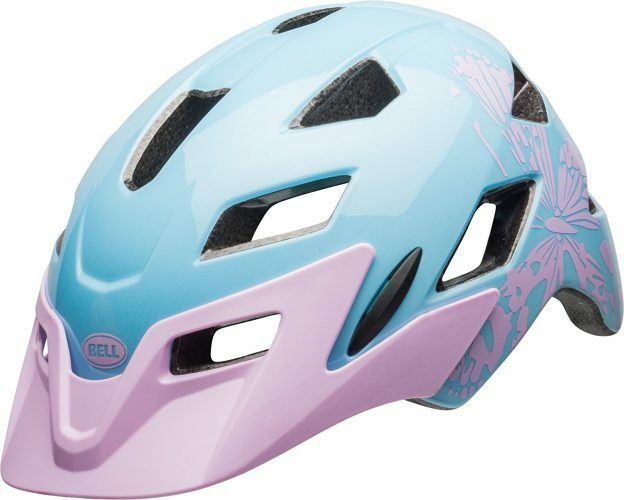 The Bell Sidetrack is one of the best bike helmets for kids. With the In-Mold polycarbonate design, it supports the EPS foam on impact. All-mountain, shape kids can use it for different sports. With the Ergo fit, you can make sure the helmet sits perfectly on your kids head. 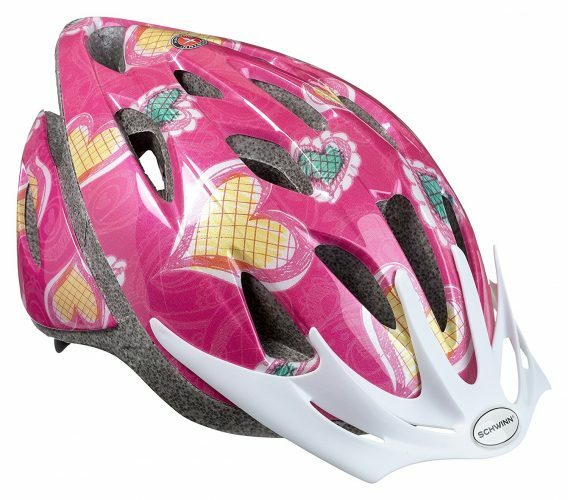 The Schwinn Thrasher Microshell helmet is a head covering every little girl will love. 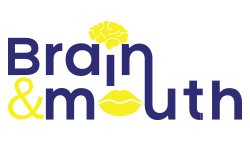 The cute design is adjustable for small to large heads. The insides padded and it has 20 vents to keep her head cool. The kid’s bike helmet is lightweight and sold at an affordable price. The FunWave kid’s bike helmet you can adjust to fit a toddler to bigger kid aged 7. The helmet has a unisex design with fun aquatic fish on them. You can buy the helmet in two colors pink and blue. The bike helmets CPSC certified and has shock-absorbing EPS shell. There are 14 vents to keep your child’s head cool and easily adjusts vertical and horizontal. The Joyutoy cycling helmet is suitable for kids with an 18.5 – 20.84-inch head. The shell has a PVC and EPS structure with adjustable side straps. 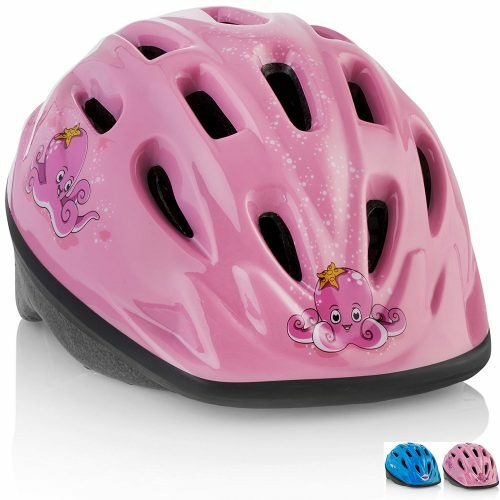 If your child is aged between 3 and 8-years this makes for a great bike helmet. There are four colors available red and white, pink, blue, and black/red. 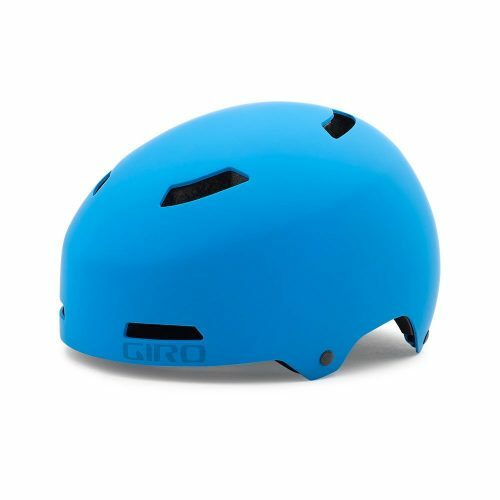 The Giro Dime MIPS kid’s bike helmet offers your child the same safety features found in adult helmets. The outer has an ABS plastic structure with EPS foam inner. For reinforcement, it has the polyurethane support on the EVA foam and removable Fit Kit foam pads. The MIPS technology is a thin layer that help protect your kids head on impact and rotates to minimize damage. A kid’s bike helmet is an important accessory every child needs to have when riding a bike. With the great designs available here, we are sure that your kid will find one to wear all the time. All these bike helmets for kids will keep their head protected on impact.